You're on a grassy field as you feel a light brisk from the winds of a spring breeze. That's probably how you'll feel when you put on this necktie. 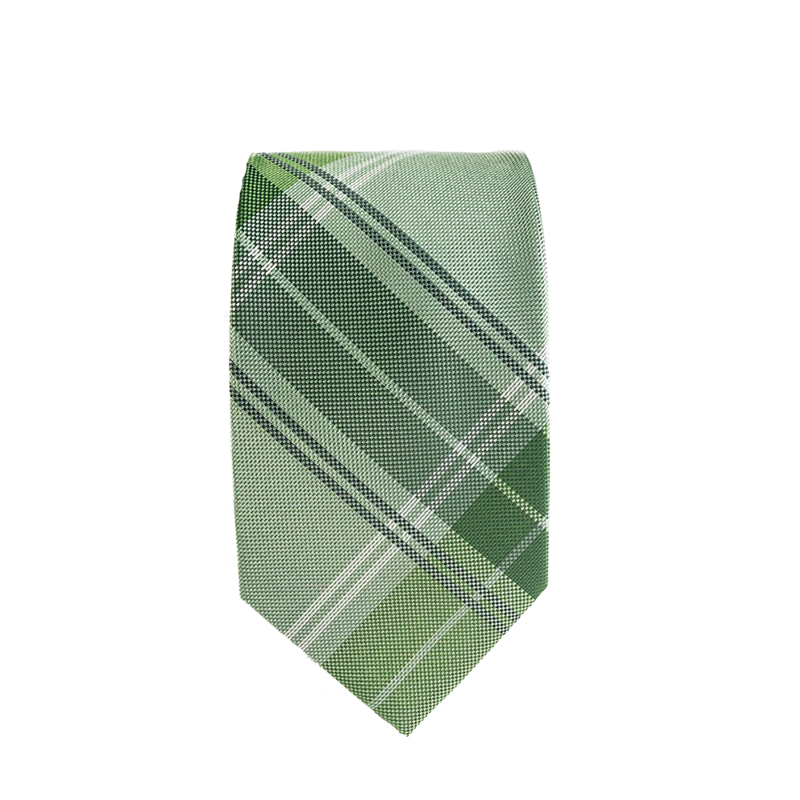 It's a light green plaid tie you can take anywhere, including a grassy meadow.